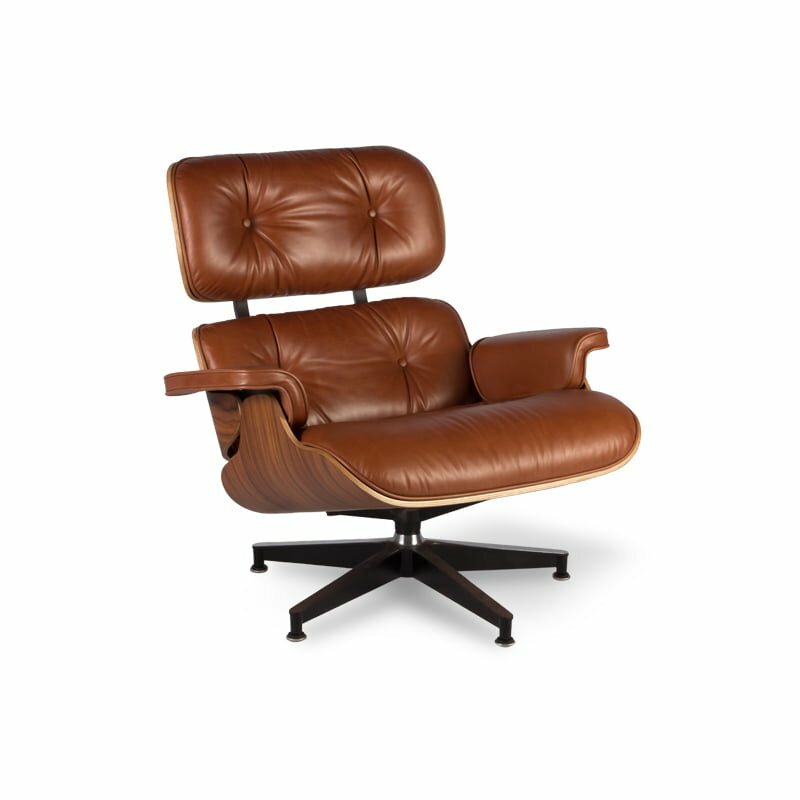 Homage is proud to offer one of the best, if not the best reproduction of the Eames Lounge Chair and Ottoman around. The Eames Lounge Chair and ottoman were released in 1956 after years of development. They are now part of the permanent collection of New York’s Museum of Modern Art. The Eames Lounge Chair first appeared on the Arlene Francis Home” show broadcast on the NBC television network in the USA in 1956. Since then it has made many appearances on television and in film, more recently in the popular sitcom Frasier along with a Coco Chanel couch and his father’s La-Z-Boy. The Eames Lounge Chair appeals to people for several reasons. It is a classic design that has been in production continuously since its creation. 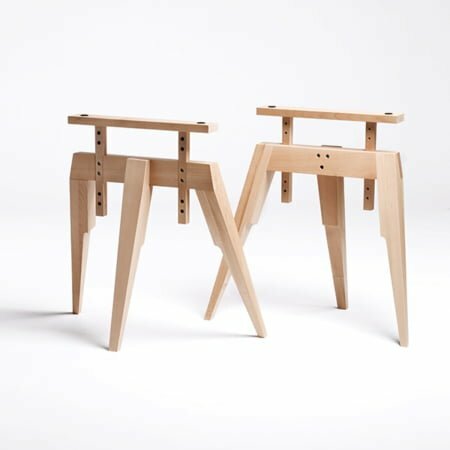 In addition to the style, it is also very comfortable, a combination not always found in high design. Additionally, some people find it desirable purely for reasons of Conspicuous consumption. 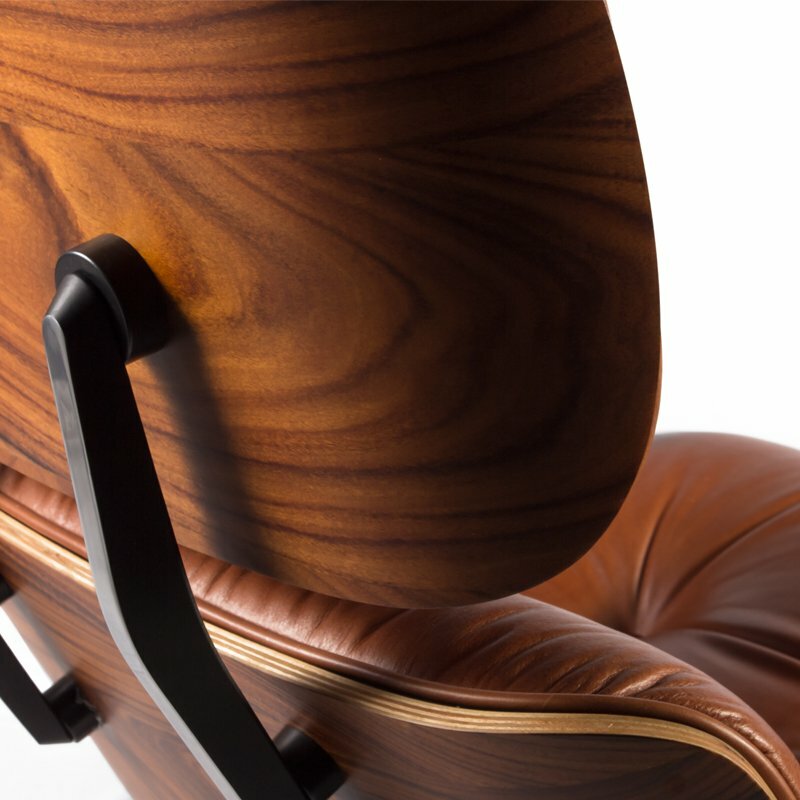 Our reproduction Eames Lounge Chair and Ottoman is sympathetic to the original’s detail, but a fraction of the cost. 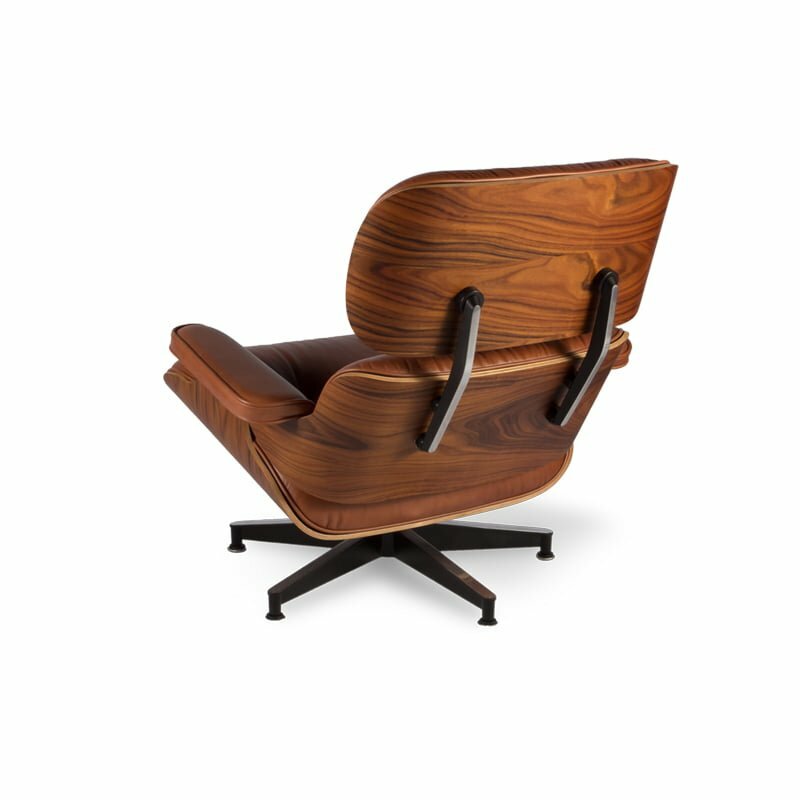 Our reproduction of the Eames Lounge Chair and Ottoman comes with either Walnut or Rosewood veneered bentwood panels with Aniline leather cushions on a swivel black powder coated base. 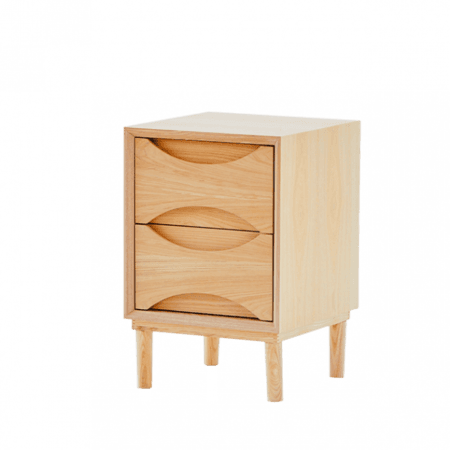 Plywood Finish: Walunt, Rose wood. 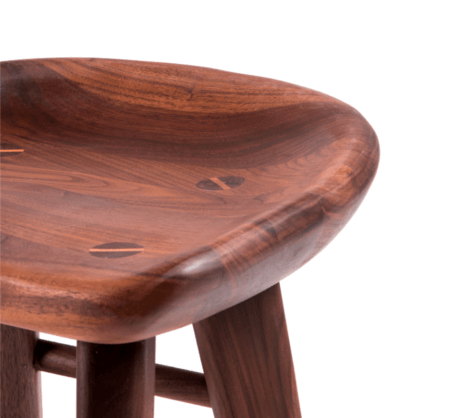 Walnut available for $2,800. 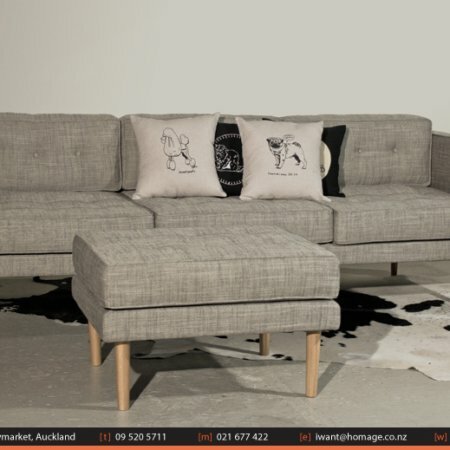 Upholstery Finish: Aniline Leather in Black, White, Tan. Can also be done in a range of colors.